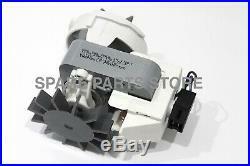 FISHER & PAYKEL WASHING MACHINE DRAIN PUMP 479595 USA MARKET. Worn or damaged pumps can cause motor control module damage, so it is wise to change it if it rattles, or fails to start intermittantly. IF YOU ARE REPLACING THE PUMP PICTURED ABOVE THIS UNIT SUPPLIED WILL BE A STRAIGHT SWAP DUE TO THE SELENI COMPANY GOING BROKE THIS REPLACEMENT PUMP ALSO IS IMPORTED FROM ITALY. 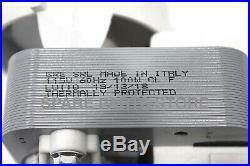 THIS PUMP IS NOT FOR USE IN AUSTRALIA AND EUROPE. For models produced prior to mid 2011. Suits models beginning GWL11, GWL15, IWL12, IWL15, WA37 and WA42. 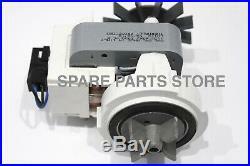 Not compatible with GWL10 and IWL09 (which use pump 420324P) nor any model beginning with WL (which use 479627). 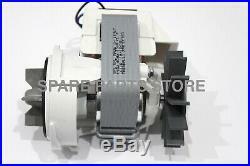 The item “FISHER & PAYKEL WASHING MACHINE DRAIN PUMP 479595 USA MARKET” is in sale since Saturday, April 6, 2019. 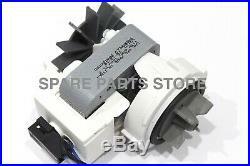 This item is in the category “Home Appliances\Washers, Dryers\Parts & Accessories”. The seller is “tozamali1″ and is located in Edithvale, Victoria. This item can be shipped worldwide.